In 2015, equity investors will see a number of companies, especially government-owned, come out with offer for sale (OFS) issues. One reason for this is that OFS, a shorter and less complex way to sell stake than initial and follow-on public offers, is a route the government will take to sell its share in some of the biggest companies it owns. In December, it raised Rs 1,725 crore by selling 5% stake in Steel Authority of India. Till March-end, the government plans to sell 5% stake in ONGC, 10% in Coal India, the world's biggest coal miner, and 11.36% in NHPC, the state-owned hydropower producer. In 2014, some private sector companies which took the OFS route are Bharti Infratel, L&T Finance Holdings, Orient Green Power Company, Schneider Electric Infrastructure and Dalmia Bharat Sugar and Industries. OFS, introduced by the Securities and Exchange Board of India, or Sebi, in February 2012, helps promoters of listed companies dilute stake through an exchange platform. The promoters are the sellers. The bidders can include market participants such as individuals, companies, qualified institutional buyers and foreign institutional investors. The facility is available on the Bombay Stock Exchange and the National Stock Exchange (NSE). Only top 200 companies by market capitalisation in any of the fourcompleted quarters can use the facility. Non-promoters holding at least 10% share capital can also sell shares through this route. In this case, promoters can act as bidders. The minimum offer size is Rs 25 crore. It can be less if the aim of the issue is meeting the public shareholding norm (25% for private companies and 10% for government ones). "One of the aims of using the OFS route is meeting the public shareholding requirement. Promoters could also use it to ensure wider ownership of the company," says Feroze Azeez, executive director, investment products, Anand Rathi Private Wealth Management. The option benefits issuers too by reducing the time taken to raise funds as they otherwise have to follow a long procedure that includes issuing a draft prospectus and an application process involving a lot of formalities. There have been more than 60 OFS issues so far, as per the NSE website. First, there is no need to fill the application form as the system is platform-based. Also, shares are allotted on a T+1 basis, that is, one day after the order is placed. In case of no allotment, the money is refunded the same day. The process is more transparent than that for initial public offers (IPO) as the system runs on a real-time basis. "Also, an investor can put multiple bids above the floor price set by the company, unlike in IPOs, where the bid price cannot be more than one. He can also modify/cancel the bid anytime during OFS market hours," says Azeez. Vinod Nair, head, fundamental research, Geojit BNP Paribas, says, "With Sebi allowing 10% quota for retail investors in OFS issues, this category of investors has an opportunity to buy shares of good companies. Also, Sebi recently gave retail investors the option to apply at the cut-off price, bringing more clarity on allotment." The cut-off price is the discovered price. According to Sebi, the seller may offer retail investors discount on the cut-off price. Sebi has mandated reservation for certain categories of investors. For retail investors, the figure is 10%. This is applicable for retail investors bidding for less than Rs 2 lakh. In case of mutual funds and insurance companies, it is 25%. The unsubscribed portion of one category can be allotted to other bidders. Nair says, "Retail investorshave the option to bid in the retail category as well as the general category. However, if the cumulative bid value exceeds Rs 2 lakh, the retail category bids are declared ineligible." In an IPO, an unlisted company issues fresh shares and goes public. In a follow-on public offer (FPO), an already listed company issues fresh shares to new investors or existing shareholders. Companies take the FPO route after they have been through the IPO process. But OFS, as previously mentioned, is for diluting promoter stake in a listed company. No new shares are created. In IPOs and FPOs, the process to raise funds is lengthy as it involves issuing a prospectus and then a wait for receiving applications and allotting shares to investors. 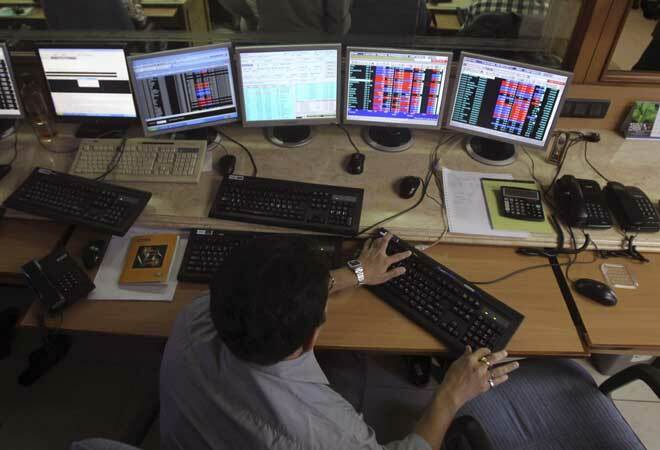 An OFS can be completed in one trading session. Yogesh Nagaonkar, vice president, institutional equities, Bonanza Portfolio, says, "While IPOs and FPOs remain open for threefour days, OFS issues get over in a single trading day." There is one more plus. "In some cases, the seller in OFS may offer a discount to retail investors. The details of the discount and stake reserved for retail investors can be disclosed upfront in the notice to exchanges." Physical Application: Unlike IPOs/FPOs, no physical forms are needed to apply for shares in OFS. Time Period: While IPO/FPO issues remain open for three-four days, an OFS gets over in a single trading day. Charges: Investors are not required to pay any fee in IPOs/FPOs. But buying in OFS involves payment of brokerage, securities transaction tax and other charges that investors pay when they buy shares in the cash market. All investors registered with brokers of NSE or BSE, other than promoters or their group entities, can buy shares in OFS issues. The investor places bids through his/her broker on the online trading platform. He can also ask the broker to bid directly on his behalf. The bid is considered valid only if backed by 100% cash margin. The bid can be modified till the last 60 minutes of trading, that is, 2.30pm. For transparency, cumulative bid quantity and indicative prices are made available online to the market throughout the trading session at specific intervals. If the floor price is disclosed, bids below that are not accepted. Like for every transaction in the secondary market, the investor is issued a contract note by the broker based on the allotment price and quantity.